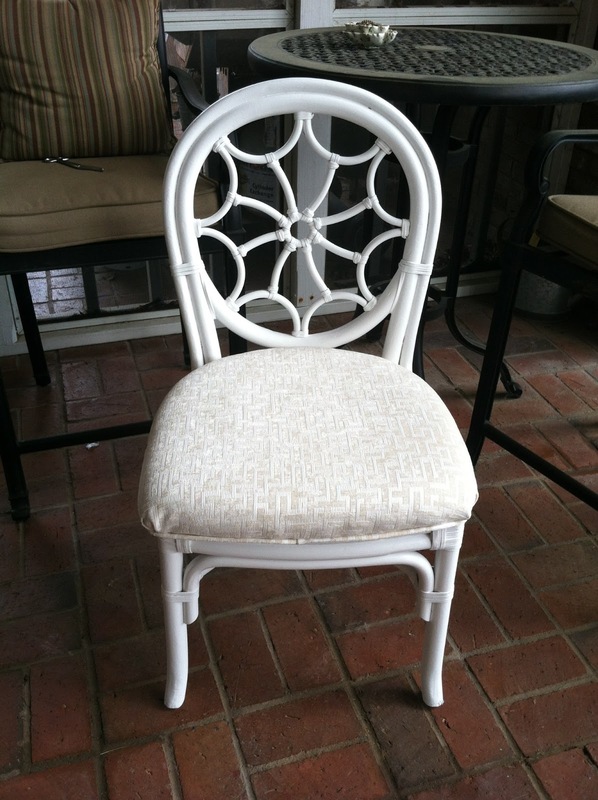 Reclaiming The Empty Nest: Furnishing a Daughter's Apartment: Flea Market Finds! I recently helped my daughter furnish her new apartment. 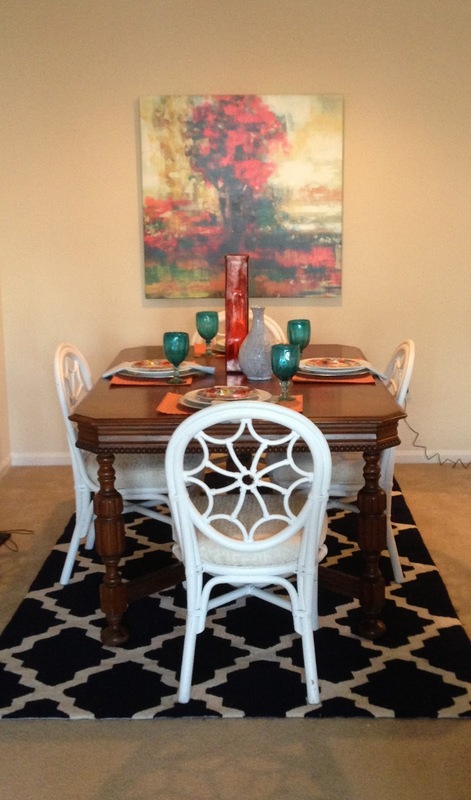 We started with nothing but after looking at flea markets and used furniture stores, we were able to furnish her dining room with a modern but classy look. First the table. We found this at a flea market with nasty parson chairs. It was absolutely gorgeous! I asked the seller about buying just the table without the chairs. If he said no, I was ready to pick up the table and throw the chairs in the dumpster. The set was $150 and he sold me the table for $100! This is probably the best steal I'll ever see. The table has a leaf and comes with a custom table pad. It has great details as you can see. It would have been $2000 at an antique dealer. And still well worth that. 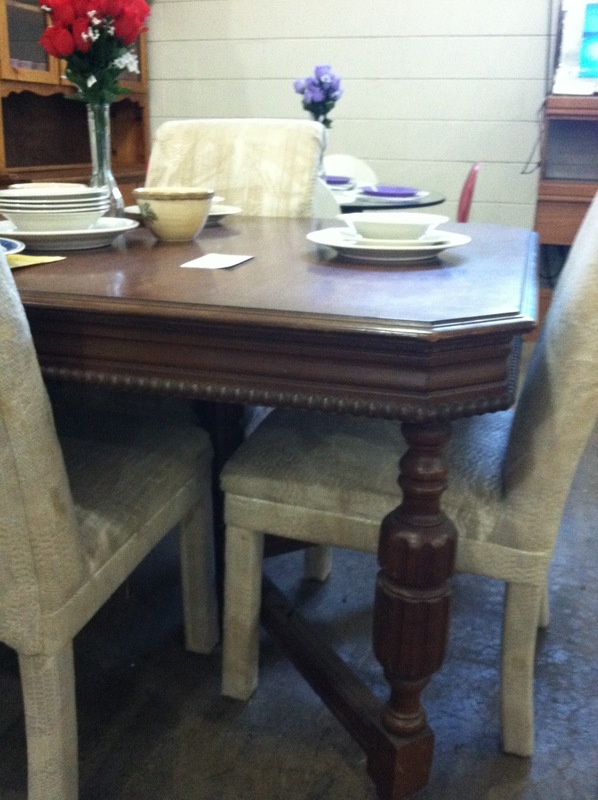 Then I went to a used furniture store here in Cordele. The owner goes to sales when a hotel changes furniture and found these spider back chairs. Yes, the seat cover covered with plastic. These were $20 each. I bought 4 ($100 dollars) and brought them home. We then spray painted them. I recovered the seat with fabric I already had left over from recovering my dining room chairs. I found this at www.lsfabric.com. Table top. 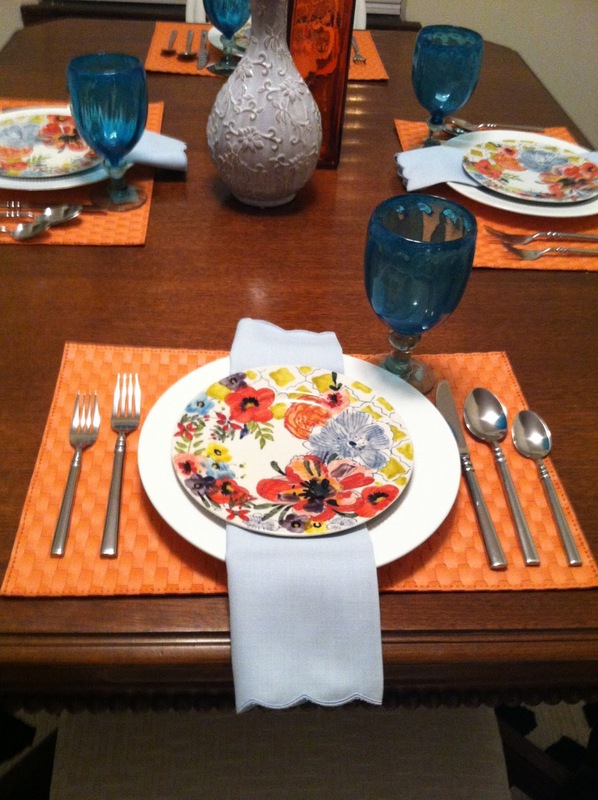 We found the white plates at Wal-Mart, flower plates at www.anthropologie.com, the silverware at www.target.com, the place mats at www.beallsoutlet.com, glasses at www.pier1.com, and the vases at www. TJMaxx.com. The rug at www.rugsusa.com and the painting at www.overstock.com. All together we have about $600 invested in total. BTW the napkins were a wedding gift of mine 29 years ago. Becca loved it!!!! !